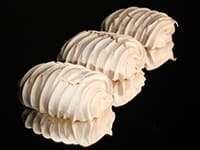 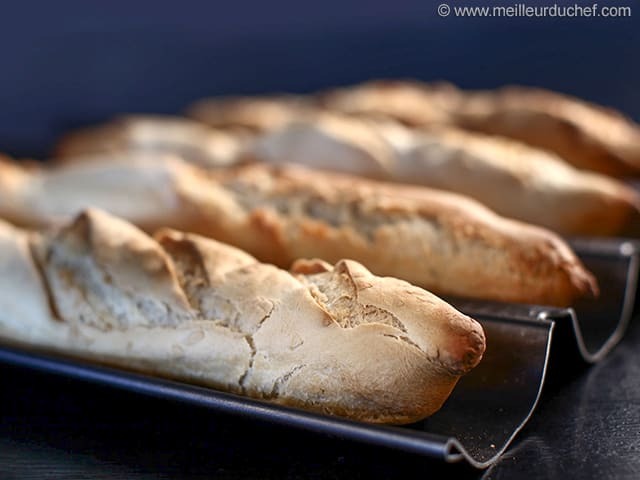 Before starting this French Baguette recipe, organise all the necessary ingredients for the poolish. 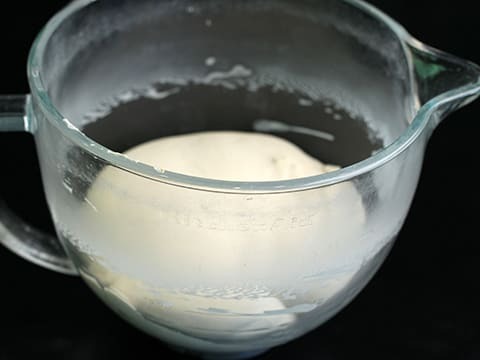 For the poolish: Dilute the yeast in the water at room temperature. 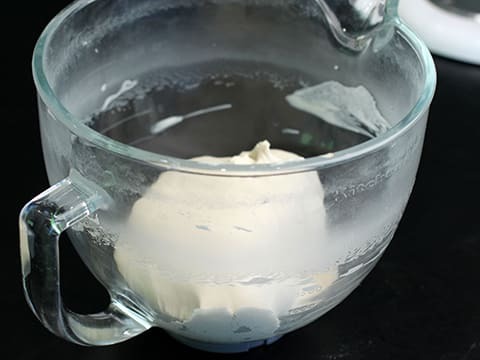 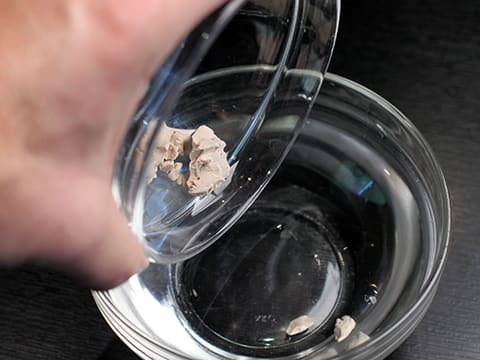 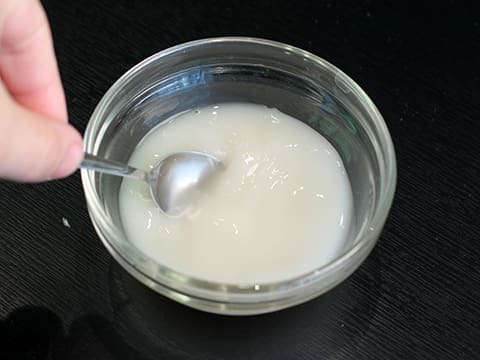 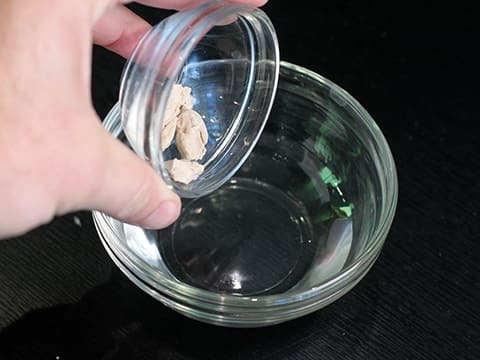 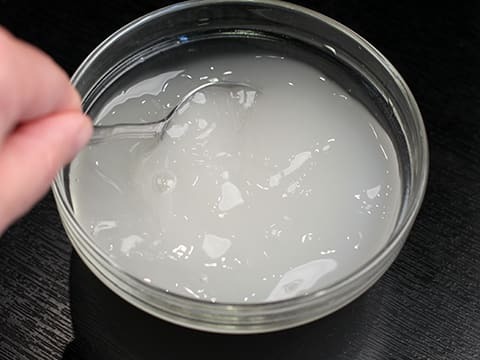 Combine with a spoon until completely dissolved. 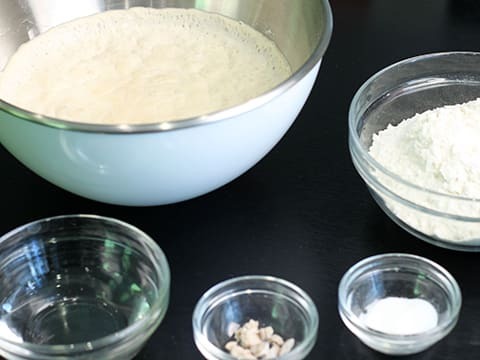 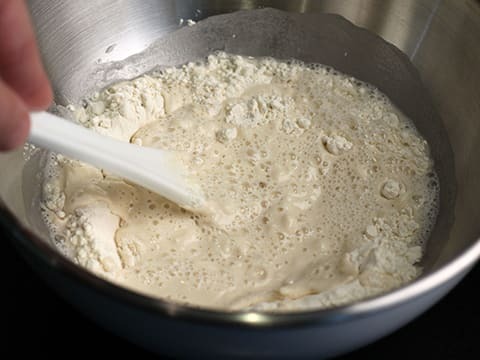 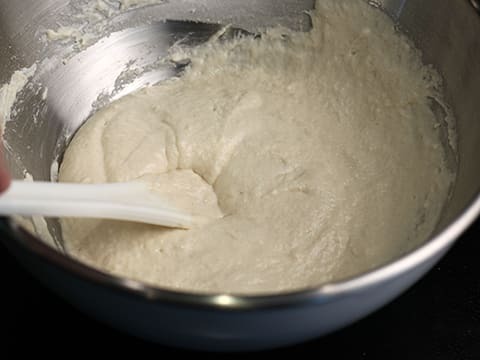 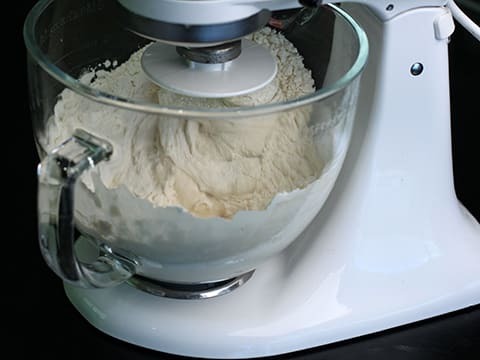 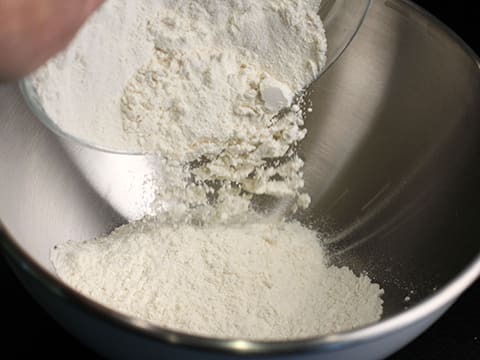 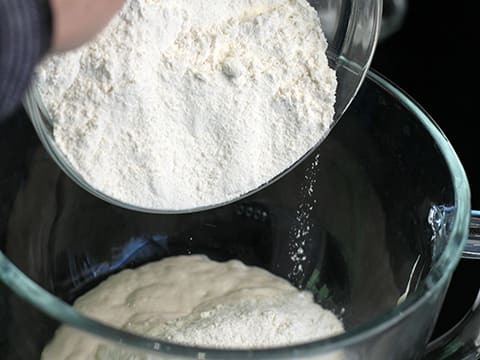 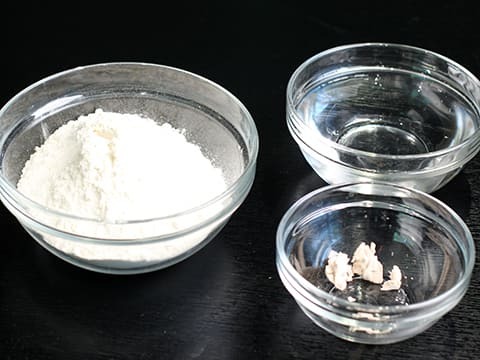 In a separate bowl, place the sifted flour. 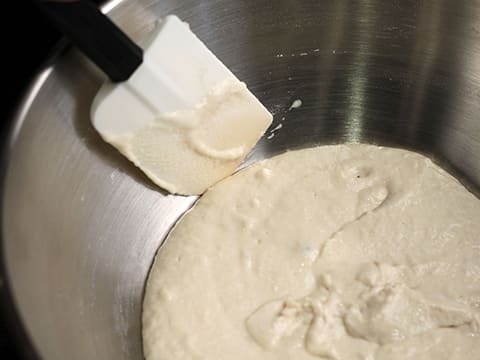 Using a maryse spatula, scrape the sides of the bowl to get as much preparation as possible. 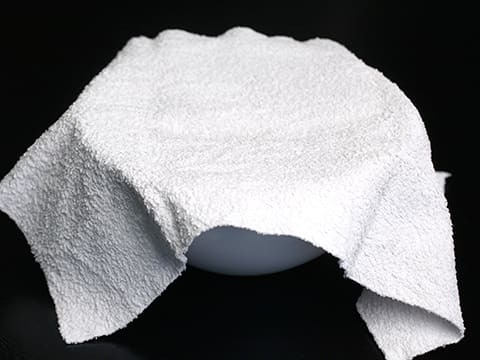 Cover with a cloth and leave to prove overnight at room temperature. 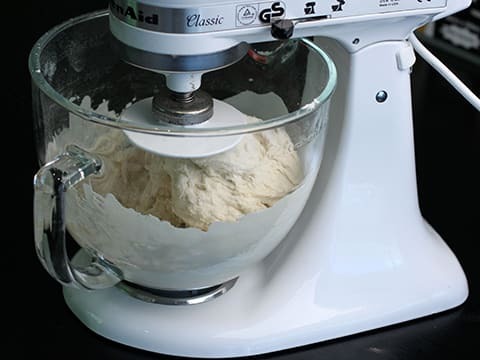 For the dough: Prepare the necessary ingredients. 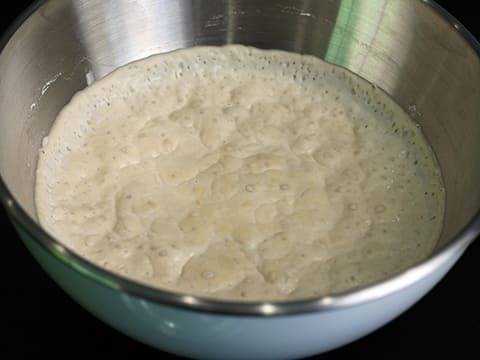 The poolish should have slightly risen overnight. 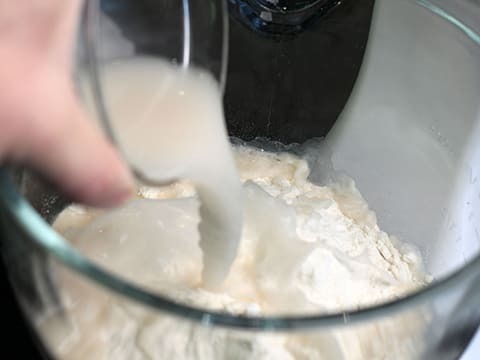 Pour the poolish into the food mixer recipient. 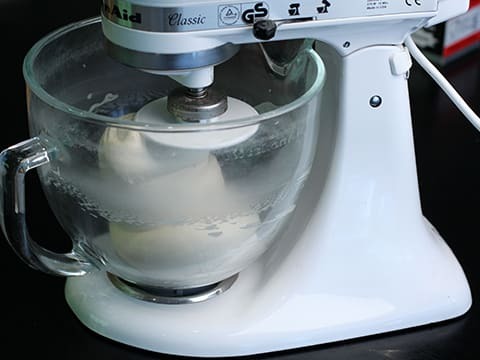 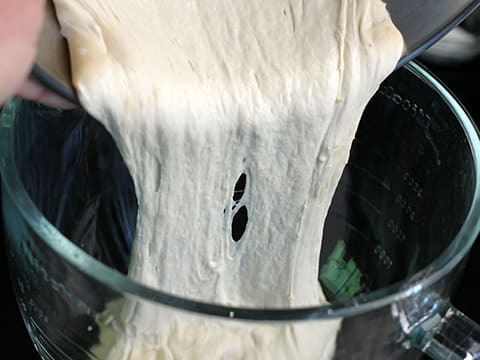 ... until the dough comes away from the bowl and forms a ball. 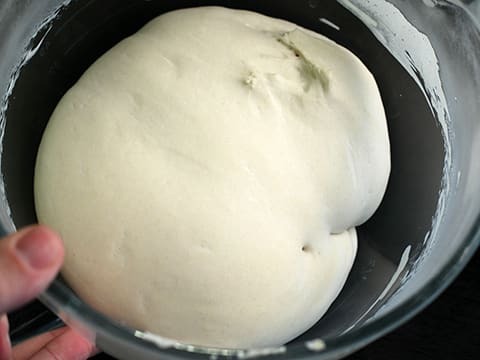 ... until the dough has doubled in volume. 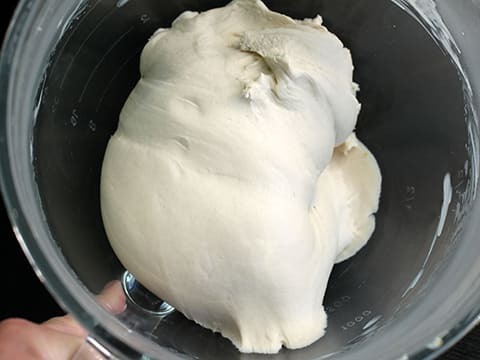 The dough is now ready. 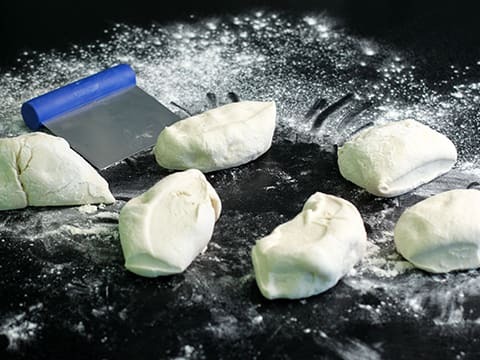 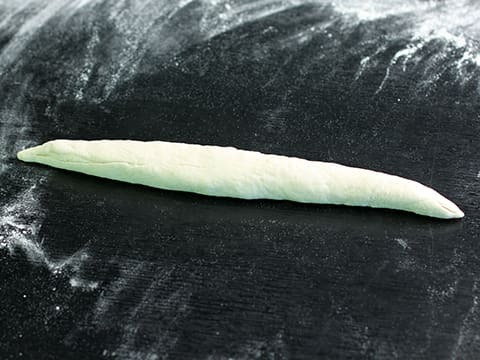 Shape each dough ball into a thin baguette, to a length of 25 cm. 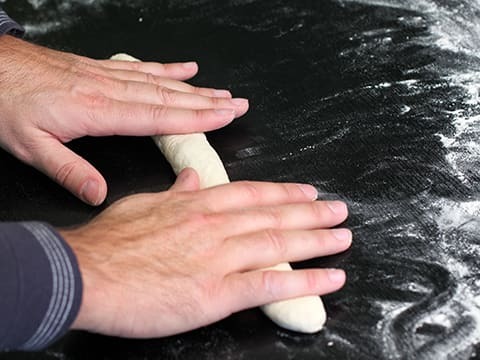 Shape both ends of each baguette between your two palms. 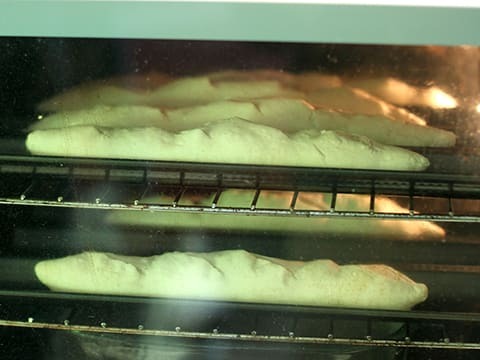 The baguette is now ready to be baked. 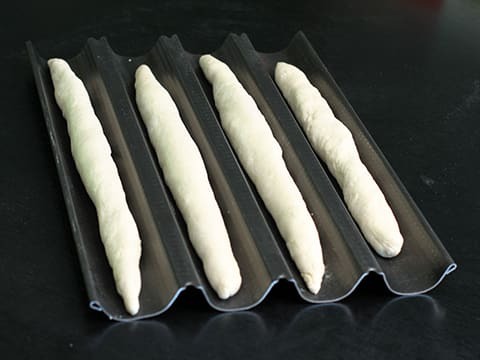 Repeat the operation with the remaining baguettes and place them in the cavities of a baguette baking tray. 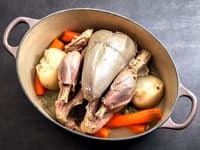 Leave to rise at room temperature for about one hour. 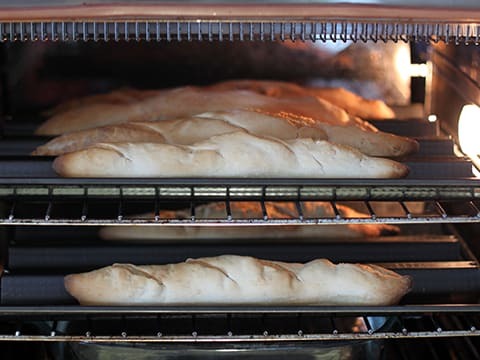 Preheat a fan-assisted oven at 250°C (gas 4). 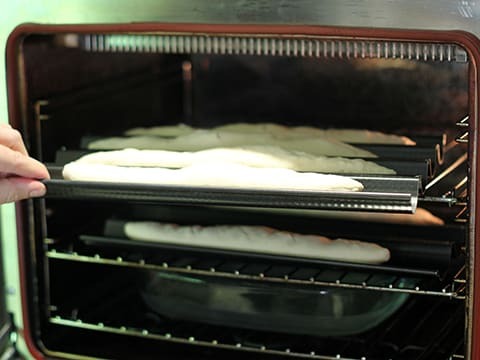 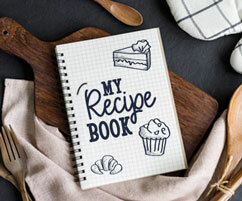 Place a dish filled with hot water at the bottom of the oven to maintain a humid atmosphere while baking. 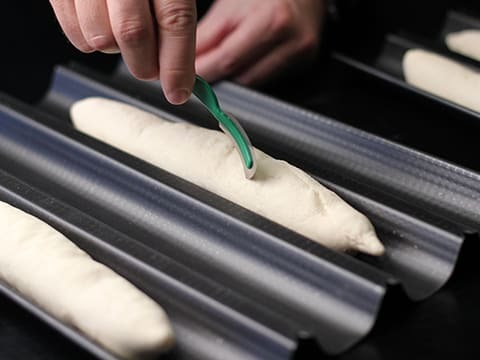 Using a baker's blade, score the surface of the baguettes to allow them to expand during baking. 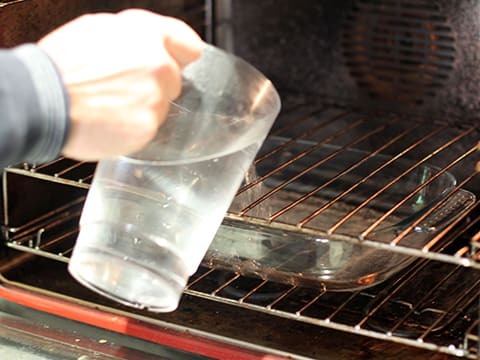 When cooked, remove from the oven and let cool. 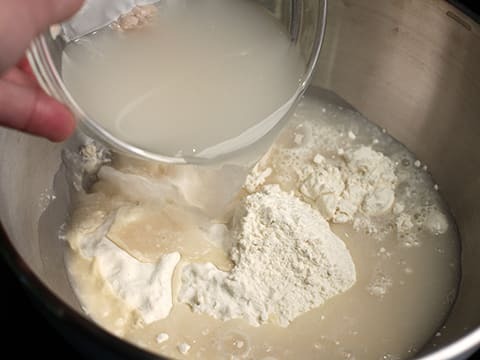 The poolish step makes for a better flavour. 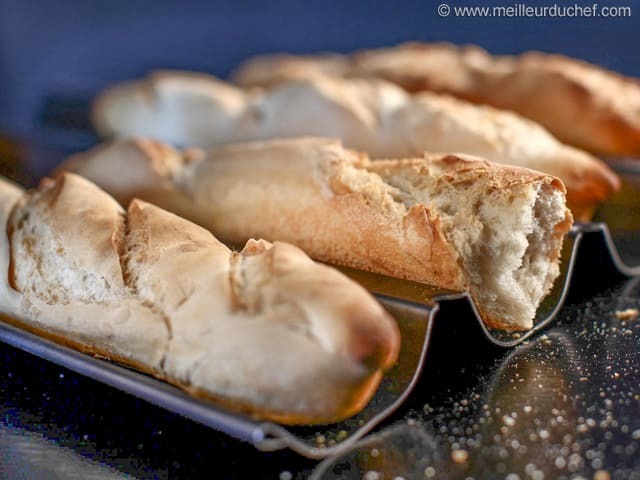 I had become frustrated with so many recipes for Baguettes I didn't bother making them anymore. 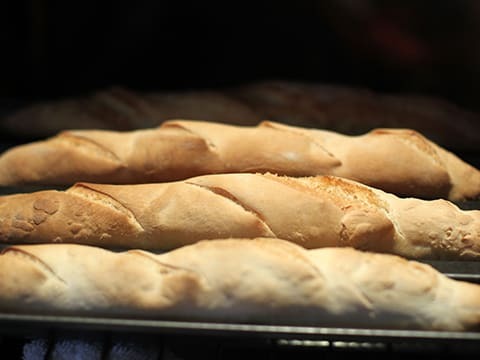 However, I decided to try this recipe and I'm glad I did because this one is the best I have tried and they came out a treat. 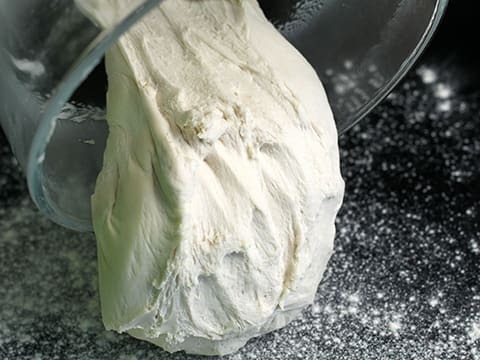 Light, with a crunch and not doughy blobs of pastry. 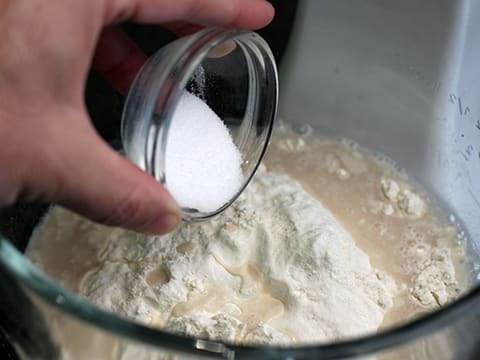 My son made me some Peach and Nectarine Jam and it was just the right accompiament with a nice café latte.